WHAT ARE ENCORE SELECT INSTRUMENTS? Excellent quality instruments are essential for a great performance. Select instruments have been chosen and recommended by teachers for your advancing student musician. 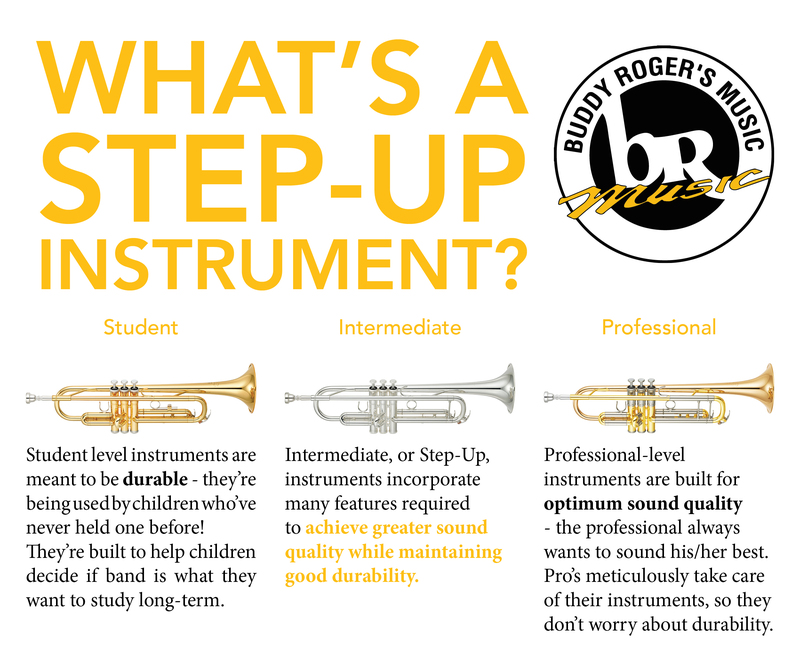 A step-up instrument encourages long-term commitment to music and their band program. These instruments provide a larger, richer sound and allow the better player to perform at a higher level. Encore Select Instruments have been engineered with greater precision and use only the finest materials to achieve better intonation and response. These instruments offer advanced features that enable musicians to play faster, have more control and play extended ranges.